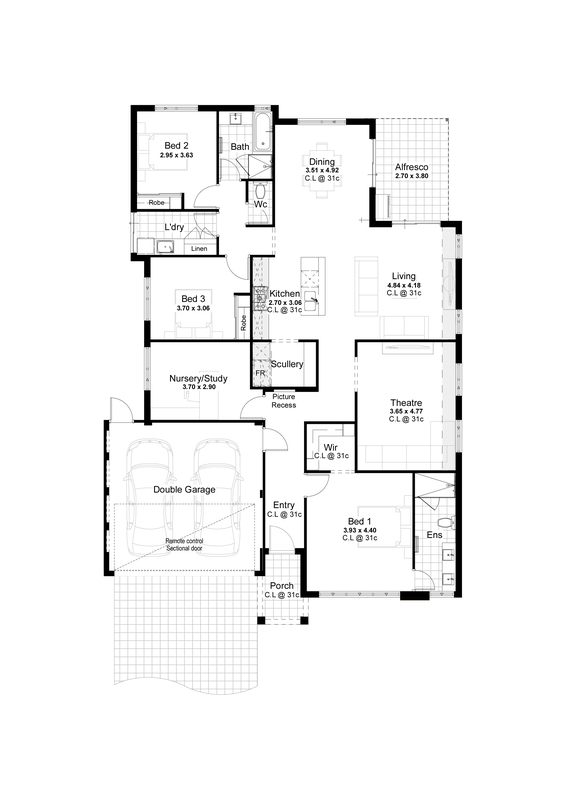 The Aspiration is a sophisticated home cleverly designed consisting of 3 bedrooms 2 bathrooms and a double lock up garage. The luxurious open plan kitchen with European inspired appliances complements the open plan living which in turn opens up to the covered outdoor alfresco making this area perfect for relaxing or entertaining friends and family. All the bedrooms have built in robes with the master suite equipped with a spacious His & Hers walk in robe and ensuite. Finished off with your very own Theatre this home is sure to tick all your boxes!